In our series on key learning zones we’ve covered Collaborate, Gather, Explore, Reflect and Talk. Next in our series is a space where students can get away from it all, get their head down and crack on with no interruptions. Self-directed study and independent learning become increasingly prevalent when you reach FE and HE. Less time with teaching staff, in classes or lectures, more time working on your own to deliver essays, extended projects or dissertations. But where can students go when they need to work uninterrupted? Libraries are the first place you think of but these tend to have large collaborative tables where study groups can cluster together, they are busy and full of distractions. What you need is visual and acoustic separation so you can focus, zone in and plough on. Home environments can also be chaotic and noisy so you need to provide somewhere students can go to zone in on their work. 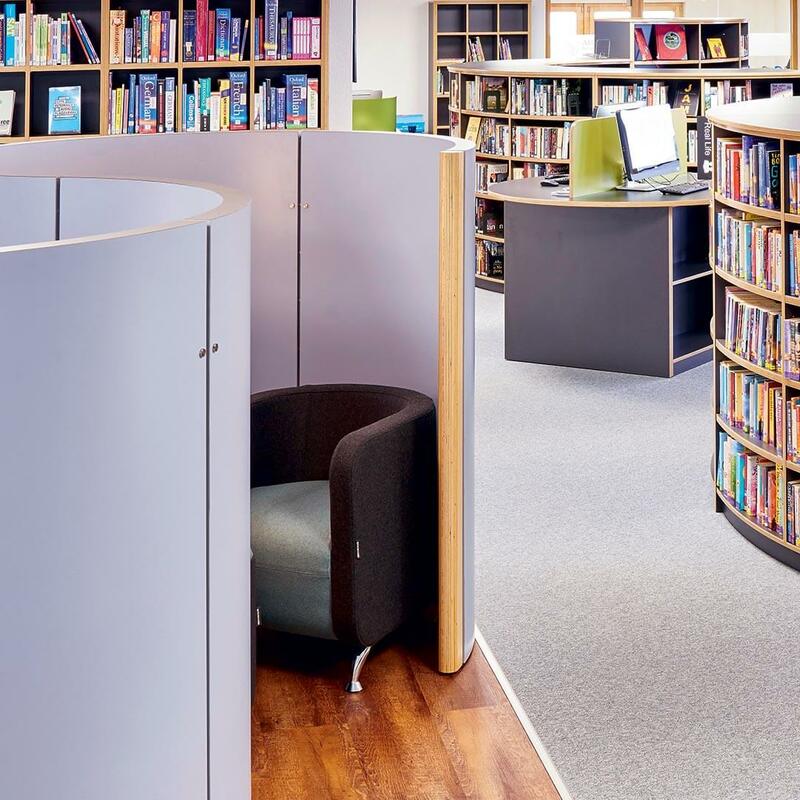 Focus Zones use our trademark CurvPress® screens to create the illusion of privacy, creating a space that feels ‘away from it all’ even when it’s anything but. 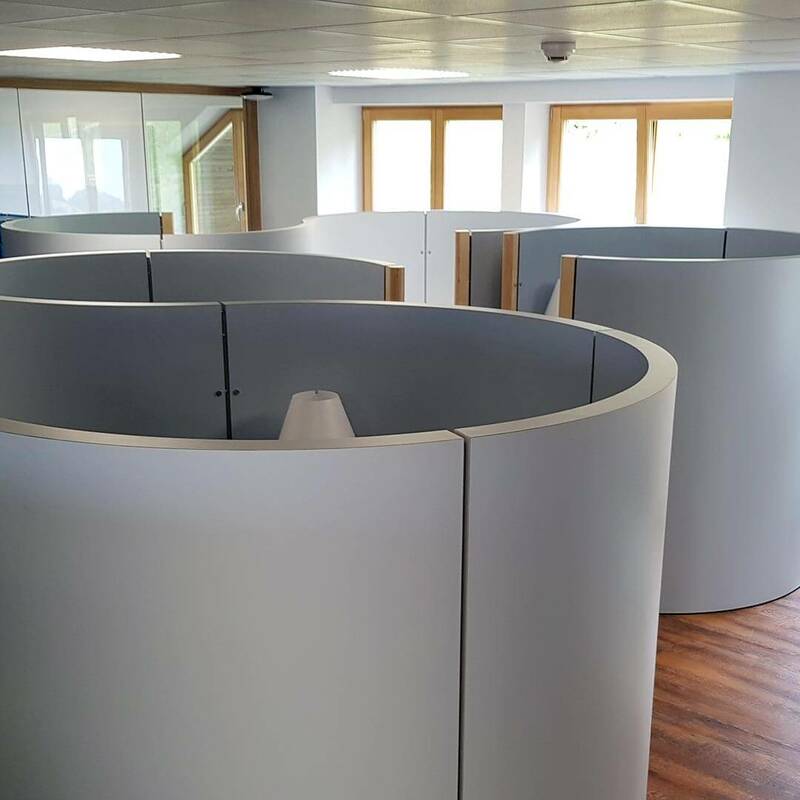 Use S-shaped screens to create clusters of Focus Zones or C-shaped screens for individual pods, or combine the two to make the most of your space. 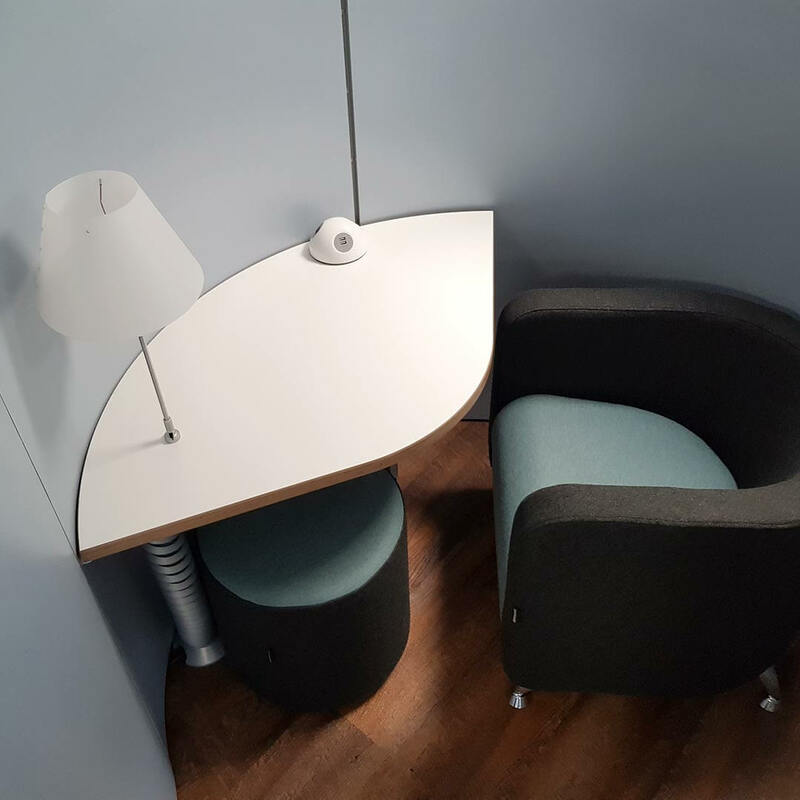 Add LearningSurface® writable worksurfaces and / or walls, integrated power and data, comfortable upholstered seating and a light and you’ve got the perfect space for focused study. 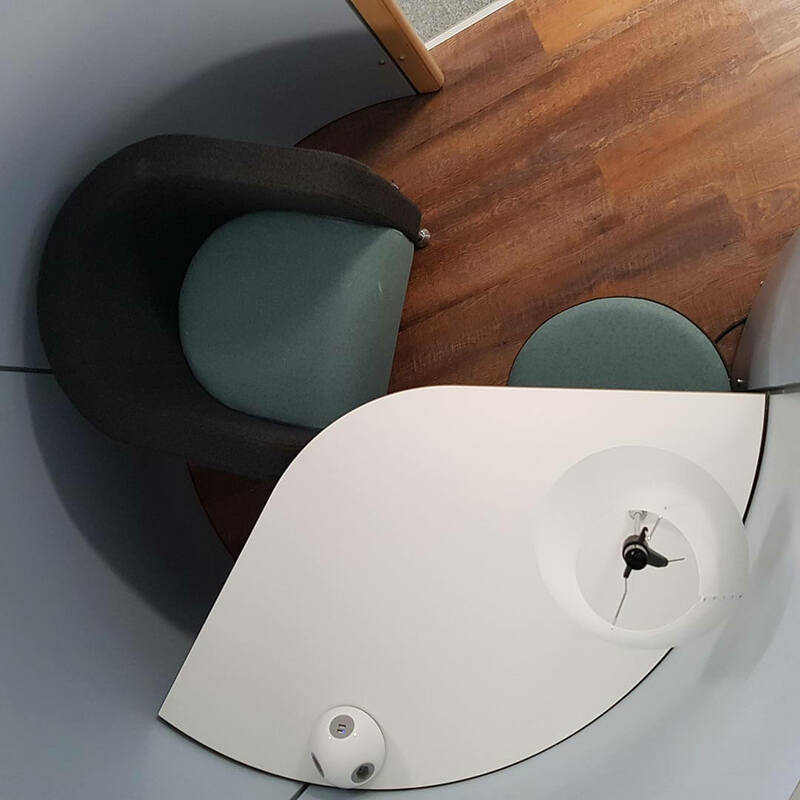 And because Focus Zones are created using our CurvPress® modular pods, which have a lifetime structural guarantee, you can move them around or reconfigure them as and when you need to. Attention is a finite resource and we tend to take the path of least resistance and spotlight our attention on a single subject of interest at any moment in time, so if you want to concentrate you need to minimise visual and aural distractions. 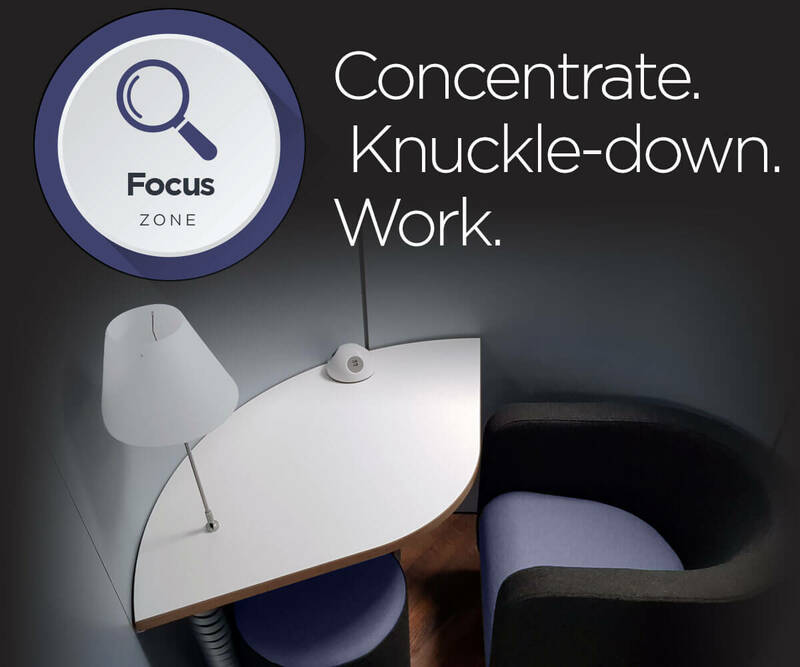 The screens of the Focus Zone create a visual and acoustic barrier between you and whatever else is going on so you can get into your ‘flow’. Comfort is also crucial. Discomfort (or fatigue) wrecks attention so making sure the seating is comfortable and an appropriate height for your age group is critical. Writable surfaces: if you’re in the pod to revise, writable surfaces can help. Research shows that the ability to explain ideas through sketching and scribing facilitates learning because it strengthens neural pathways to the brain, providing additional routes to enable recall from long term memory. In other words, having a writable surface that you can easily write or draw on, rub out and start again helps anchor learning. If you’d like help designing a Focus Zone for your classroom, we’d be delighted to help!